It's one thing after another isn't it? After all the Renaissance Faire craziness I needed to get everything in order for Easter. 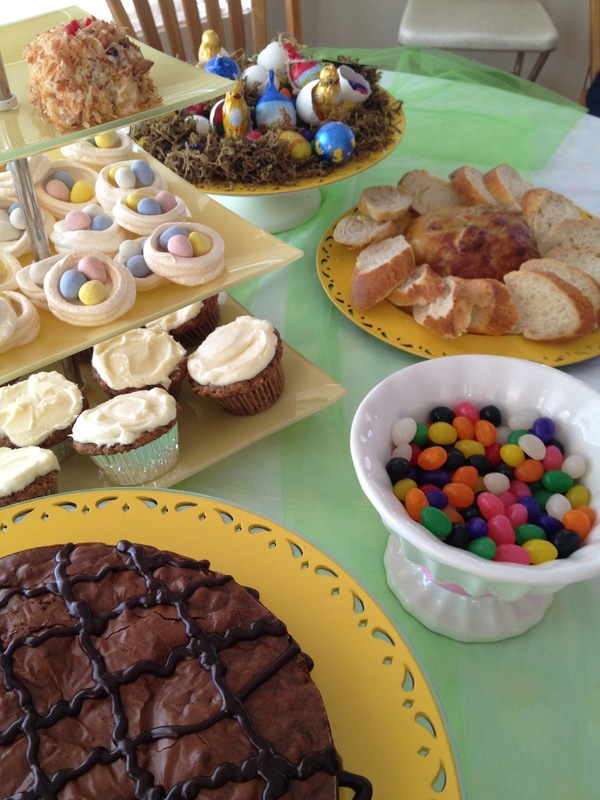 This year was actually much, much easier since we were not hosting in our house, and since all I had to produce were appetizers and desserts. 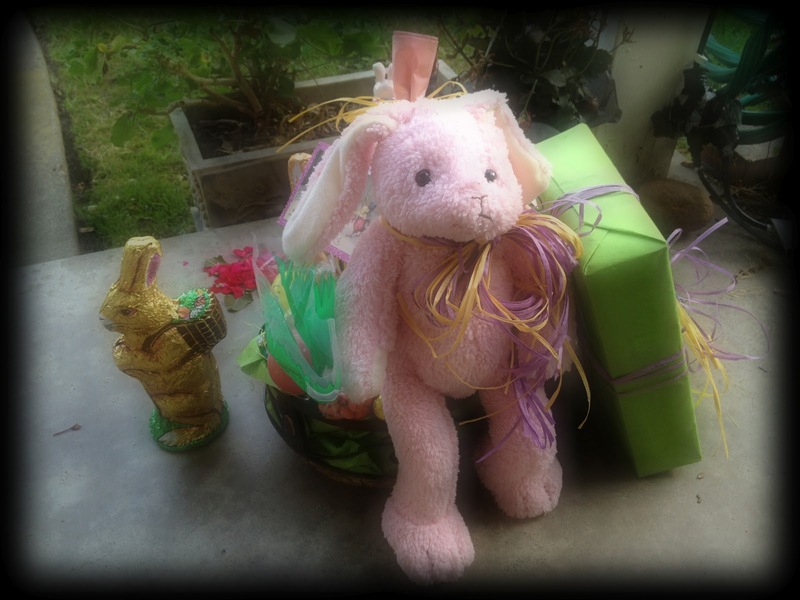 First though we needed to make sure the "Easter Bunny" remembered to stop and visit Ada and bring her some specific treats with the chocolate. 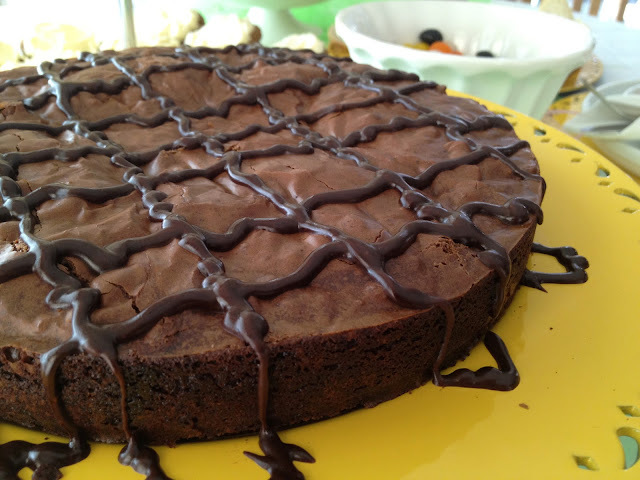 Back into the kitchen I go. Appetizers were deviled eggs made the way my dad loved them - using sweet pickles. 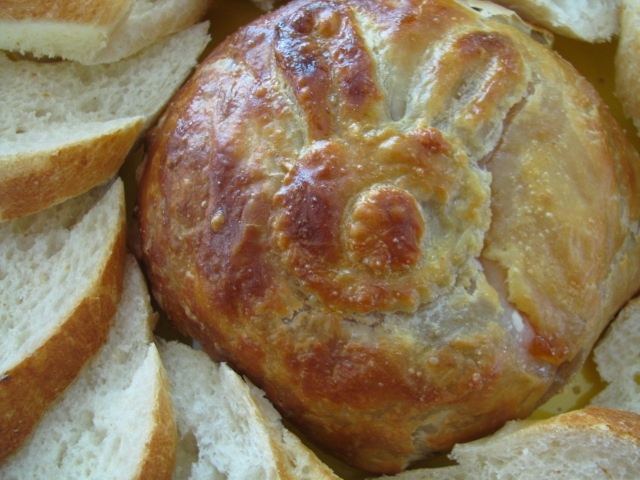 Also did the wildly popular Brie wrapped in pastry - with a little bunny on top. 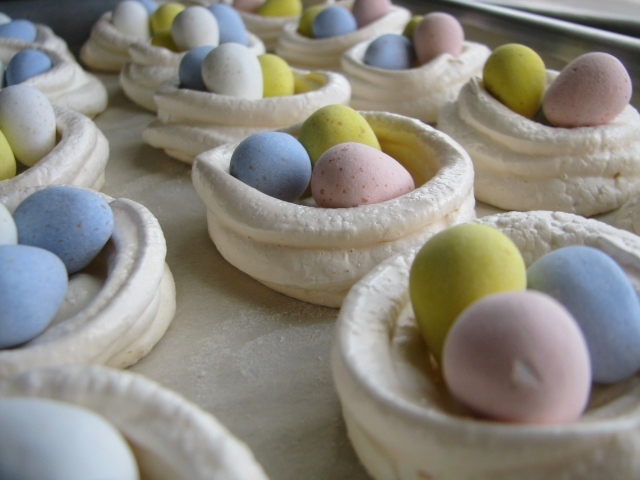 Mini birds nests with candy coated chocolate eggs. A giant mess of eggs and chocolate and jelly beans. There of course was also Carrot Cake with cream cheese frosting and the festive little bowl of jellybird eggs. 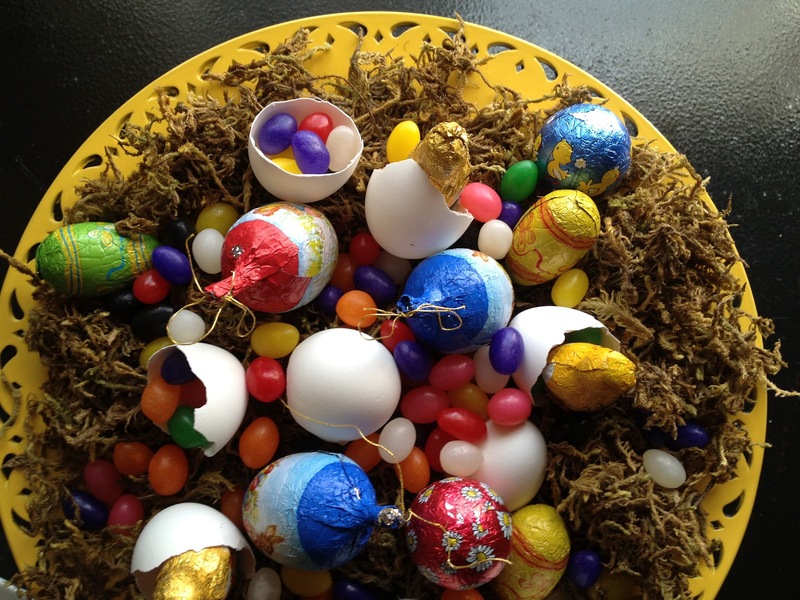 By the way - what's the difference between jelly beans? 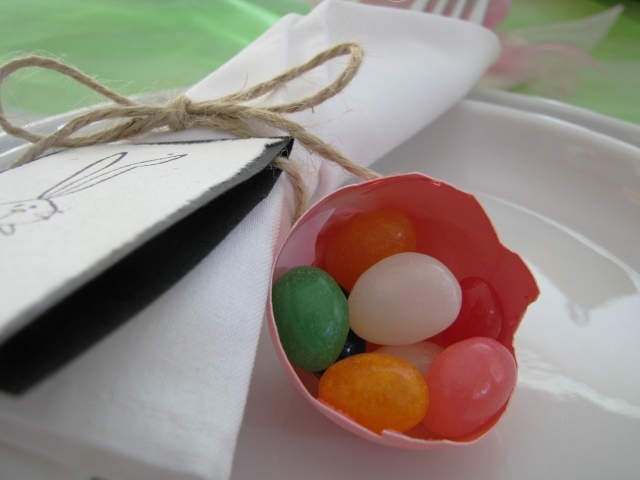 and jellybird eggs? 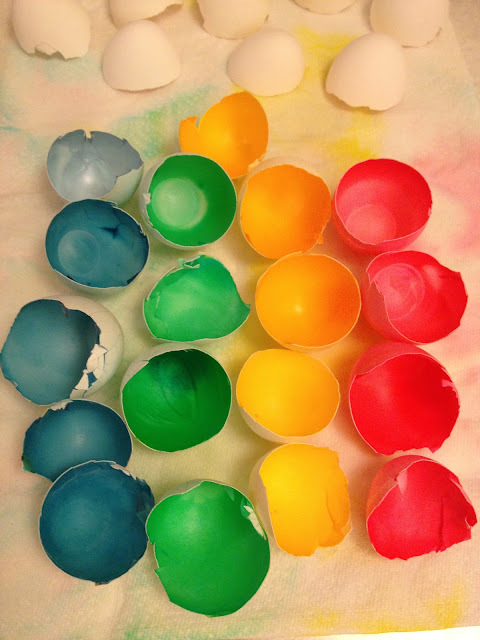 I did also wash, dry and dye some egg shells and use them as part of the table settings. 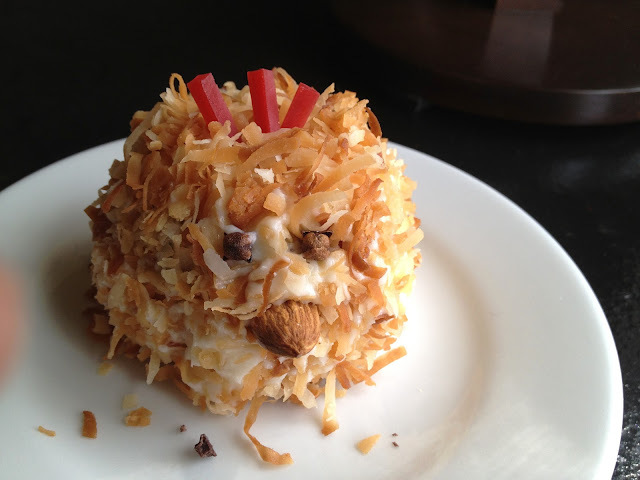 Oh wait...I also had a moment of "Completely lost my Mind" and made these little carrot cake coconut covered chicks! Which by the way Ada thought they were a little weird looking. Guess I don't have to do these again!